Ok, count me in :) I want to join lottery. Good job everyone giving to community. Zero pen dmg "solution" needs to go, penalizing ships with external torpedo bulges and spaced armor is insane. There is great detailed post on this by Little White Mouse on NA forums and list of ships inpacted in negative way is pretty extensive. EDIT: found issue - custom camouflage textures were / are responsible for game crashing Game crashing in port, for some reason every time I want to choose Gallant - ship does not load and game crashes. 8 crashes so far. 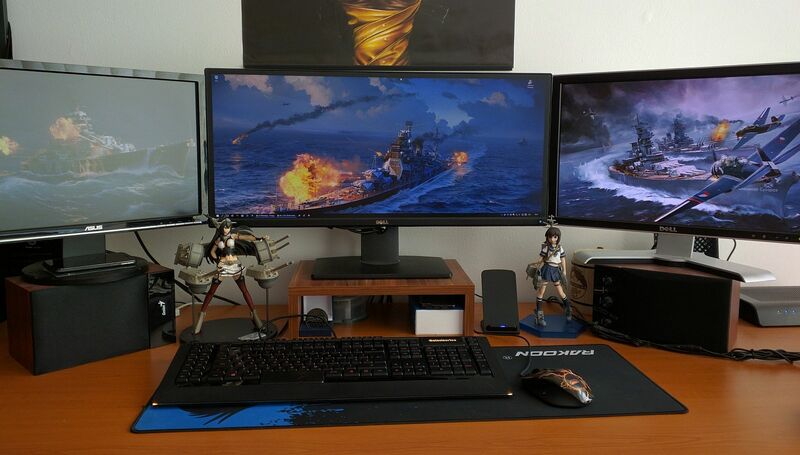 Application D:/World of Warships/WorldOfWarships.exe crashed 09.20.2018 at 21:39:52 Message: The BigWorld Client has encountered an unhandled exception and must close (EXCEPTION_ACCESS_VIOLATION : 0xC0000005 @ 0x011E4CB4) (Write @ 0x3773833216) Current thread #9376 native trace: (0) : WorldOfWarships.exe!0x011E4CB4 (0) : WorldOfWarships.exe!0x011FE2E5 (0) : WorldOfWarships.exe!0x011E52C4 (0) : WorldOfWarships.exe!0x011E56E5 (0) : WorldOfWarships.exe!0x011E579D (0) : WorldOfWarships.exe!0x011EEEAF (0) : WorldOfWarships.exe!0x011EF8B4 (0) : WorldOfWarships.exe!0x011CACA1 (0) : WorldOfWarships.exe!0x011CD350 (0) : WorldOfWarships.exe!0x01326158 (0) : WorldOfWarships.exe!0x00BDBD42 (0) : WorldOfWarships.exe!0x00A873FB (0) : WorldOfWarships.exe!0x00E612A4 (0) : WorldOfWarships.exe!0x00E6754B (0) : ucrtbase.dll!0x764AE8AF (0) : KERNEL32.DLL!0x76868484 System info: OS Name: Windows 8.1 or later OS Version: 6.6 OS Architecture: x86_64 Memory info: Virtual memory: 3732744Kb/4194176Kb (89%) Working set (process physical memory): 3268168Kb/4194176Kb (77%) Commit charge (working set + process page file usage): 3355452Kb/4194176Kb (80%) Global physical memory: 8233244Kb/16725700Kb (49%) Global commitable memory (physical + pagefile): 11723248Kb/17774276Kb (66%) System info: COMPUTERNAME = LACHTAN-PC APPLICATION = "D:\World of Warships\WorldOfWarships.exe" 4 PROCESSOR(S) = 0 - 6 3a09 DISPLAYDEVICE 0 = \\.\DISPLAY6, NVIDIA GeForce GTX 1060 6GB, PCI\VEN_10DE&DEV_1C03&SUBSYS_85A41043&REV_A1 DISPLAYDEVICE 1 = \\.\DISPLAY7, NVIDIA GeForce GTX 1060 6GB, PCI\VEN_10DE&DEV_1C03&SUBSYS_85A41043&REV_A1 DISPLAYDEVICE 2 = \\.\DISPLAY8, NVIDIA GeForce GTX 1060 6GB, PCI\VEN_10DE&DEV_1C03&SUBSYS_85A41043&REV_A1 DISPLAYDEVICE 3 = \\.\DISPLAY9, NVIDIA GeForce GTX 1060 6GB, PCI\VEN_10DE&DEV_1C03&SUBSYS_85A41043&REV_A1 Extended info: No thread callstacks due to low memory. Thanks, no need :) already figured by trial and error which one is which. Using most of them now, thanks! Hello, would it be possible to include list of how different texture files translate to camouflage name in game? I would really like to use some of your files, but not all of them. This is really nice! Great community job guys :) And of course I would like to join the raffle. Přidávám Krakena :) Tak ještě jeden Confederate a hotovo.